This month we are spotlighting books by Amy Krouse Rosenthal for our Yearlong Virtual Book Club for Kids! 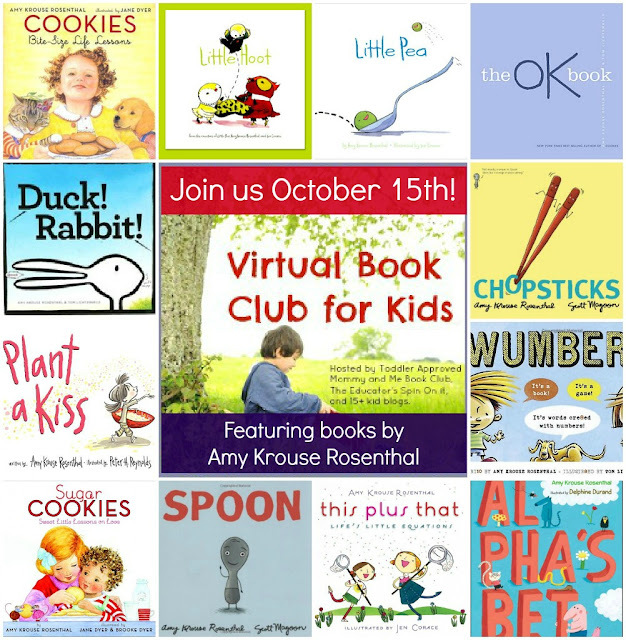 Pick an Amy Krouse Rosenthal book to read with your child (I have the links to several book recommendations along my blog sidebar). There are SO MANY great ones... and most were brand new to me! Comment and let us know that you are participating!! 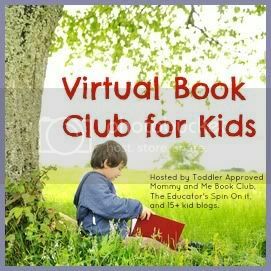 Do any activity, craft, cooking project, or other book inspired activity that goes along with the book you chose. Share what you did with us starting Monday, October 15th! We will have a linky up for 3 weeks where you can share any blog posts (if you are a blogger) or you can post what you did at the end of the linky post in the comments or on our Facebook wall. I am really looking forward to seeing what book you picked. These books are all new to me over the past month and I am LOVING them! Looking forward to Monday! We enjoyed 3 of her books! Just found out about this and plan to join this week. We put a few of the books on hold at our library to pick up Wednesday. I am going to let my daughter pick out her favorite. Then I will brainstorm a fun activity around the book. Can't wait to see what everyone else does. Can't wait to join in! Just decided today that we're going to participate! Yay!